Over the past two years, The Jewish Foundation of Cincinnati has made a significant investment in JVS Career Services to change the landscape for jobseekers, college internships, and employers, both in and outside the Cincinnati Jewish community. This unprecedented investment has allowed the organization to be able to focus on strengthening our Jewish community through its employee recruitment and retention efforts. Recently, The Jewish Foundation approved an additional $800,500 to support a second level of JVS Career Service’s business development. The new funding has been used to hire an additional career consultant to support job seekers and a recruiter to support the hiring needs of Jewish communal agencies and Cincinnati employers, and to showcase Cincinnati career opportunities to Jewish community members living in other cities. The funding will also be used to implement new technology that will allow JVS Career Services to quickly search and identify job seekers whose skills match qualifications for open positions, and to track workshops and one-on-one coaching sessions. Jewish Vocational Service, as it was originally known, formed in 1940 to provide Jewish refugees and other members of the Jewish community with vocational guidance and job placement while combating religious workplace discrimination. As it evolved and grew throughout the twentieth century, it began to expand and serve individuals with developmental disabilities. In July of 2012, the programs provided to individuals with disabilities merged with Easter Seals Work Resource Center to form Easter Seals Tristate. During this combination, JVS Career Services emerged as an independent agency continuing as before to serve typical job seekers without regard to religious affiliation or belief. In response to the Jewish Federation of Cincinnati’s focus on Cincinnati 2020, it became apparent that JVS Career Services should take the lead towards creating a community with reduced Jewish unemployment and more individuals who find employment with the assistance of Jewish connections. JVS Career Services determined that to serve as the lead agency in the employment field, it needed to increase its size to expand and enhance the services it offered. That’s when the agency approached The Jewish Foundation and the Jewish Federation to develop a capacity building plan for delivering on that new mandate. With two separate grants (the first in 2014 and the second recently approved by The Foundation’s Board), JVS Career Services has been able to add staff, refocus its efforts, and has already had a positive impact on the Jewish community. The hiring of new CEO, Joni Burton, who brings decades of experience in recruiting, staffing and talent management. Prior to heading up JVS Career Services, Ms. Burton served as CEO of ERB Solutions, a permanent placement and staffing company that assisted organizations in recruiting top-notch talent. Since implementation of the first grant, JVS Career Services saw monthly job starts steadily increase. During the period of January through December 2015, JVS Career Services clients had 228 job starts, with 71 % of the newly employed clients identifying themselves as Jewish. The economic impact of those 228 jobs, based on the total reported annualized salaries, was roughly $11.7MM. While job starts vary from month to month, JVS Career Services expects to see a continuing upward trend in the number of job starts. The collaboration with the two Hillels has also yielded very positive outcomes thus far. In 2015, more than 50 students were engaged with the program, which is designed to help Jewish students identify and secure internships. The program has connected with more than 30 employers, 17 of which expressed an interest in hiring a Careers Cincinnati intern. JVS Career Services has been working with Careers Cincinnati applicants on refining their resumes and interview skills, as well as connecting Careers Cincinnati to potential employers. In addition, JVS Career Services provided Hillel students with job search packets so that they present themselves professionally at their internships and jobs. 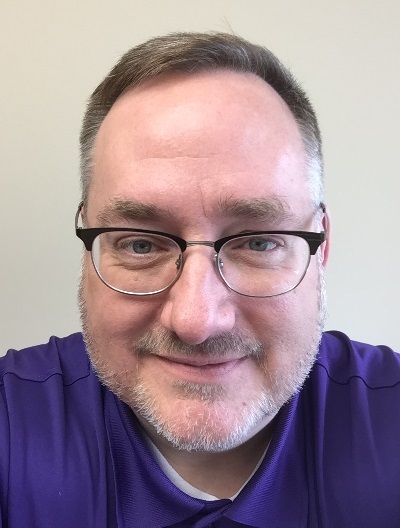 Mike Boberg, Jewish Foundation of Cincinnati Senior Grants Officer, has more than 15 years experience in strengthening the local arts community in a variety of roles including at ArtsWave, where he managed their Projects Grants program and ran the BOARDway Bound leadership initiative. Mike has served on grants review panels for a variety of funders throughout the tristate, including Cuyahoga Arts & Culture (Cleveland), LexArts (Lexington), CultureWorks (Dayton), the Ohio Arts Council (Columbus) and the Kentucky Arts Council (Frankfort). He has also presented on a variety of topics at numerous local and national conferences, including Americans for the Arts. His role at the Jewish Foundation includes working directly with a number of its grantees, from request inception through the final reporting phase of the grant making process. Who Should Have a Professional Portfolio?…Everyone! Portfolios aren’t just for creative professionals—everyone should have one. Whether you are in an active or passive job search, there’s no better way to showcase yourself than with a portfolio. The benefits are endless, from having it to take with you to an interview, to using it as an organizational tool. Interviews used to be about showing up and answering the questions appropriately. But these days, it’s all about standing out in a unique and professional way. What better way to answer the common interview question, “what are your strengths?” than to have a portfolio to showcase them. A professional portfolio is a tool that can help bring your stories to life, in a tangible way. By showing physical examples of your work and accomplishments, you’ll be better able to prove your skills and experiences. And, for those who can sometimes let nerves get the better of them during interviews, it’s also a great reminder of some talking points. What should be included in a portfolio? Traditionally, contents of a portfolio should include your resume, a reference list, any degrees, certifications and licenses, transcripts, proof of training or professional development, assessment results, work samples, performance evaluations, letters of recommendation, accolades, a list of your community involvement, and any association memberships. It’s important to keep in mind that a portfolio is a work in progress—it continues to evolve over time. I recommend keeping a file somewhere handy to collect additional portfolio materials. For example, you could simply print out emails that speak well about your work and toss them in the file. Then, go through the file every so often and incorporate the best of those emails into your portfolio. Including a copy of particular items from your portfolio, along with your job application, is a great way to get noticed! Want to learn more? Ready to get started? Check the JVS Workshops to register for the next available Portfolio Development Workshop. At this hands-on workshop, JVS Career Services consultants will be there to help you. You’ll leave with the beginnings of your portfolio. Dedra Perlmutter, CPRW, SHRM-CP, PHR, is a Senior Career Coach and Human Resources Manager at JVS Career Services. Dedra provides extensive knowledge to clients in the areas of job searching, interviewing, networking, personal branding, image and career strategies. With almost 20 years of HR experience, in a variety of industries, Dedra is well-versed in recruiting and employment, and brings with her “insider knowledge” of what employers are looking for in potential employees. By leading workshops and working with clients individually, Dedra is able to serve as a resource for those that are looking to make a career change or to enhance their current career path. In addition to utilizing her past experiences, Dedra also works in conjunction with other HR industry professionals to remain up-to-date on current hiring and employment trends. Being able to share knowledge and experiences with clients has proven to be a huge success factor. Dedra is known for her positive motivation and her upbeat approach to the job search process. She also has a sincere interest in getting to know her clients and helping discover their goals. Dedra, a Cincinnati native, received her Bachelor of Liberal Studies degree with a concentration in Human Resources from Bowling Green State University. Dedra also holds a PHR, Professional Human Resources Certification, a SHRM-CP, Society for Human Resources Management Certified Professional, as well as a CPRW, Certified Professional Résumé Writer.